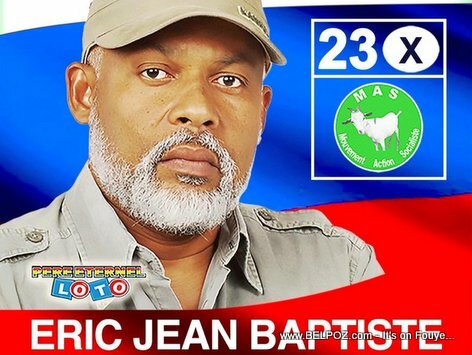 President Jovenel Moise did the terrible job in the way he handled the situation after the gas price riots I took place over the weekend, says former Haitian candidate for president Eric Jean Baptiste. The President should have apologized to the population for what happened, something that, according to Eric Jean-Baptiste, the president did not do. The next thing the president should have done in his national address was to announce the major decisions that the population is expecting from him. Among these decisions, Eric Jean Baptiste mention 10 billion gourdes that the government is loosing in uncollected Customs duties (franchise douaniere) from big companies who are not paying their fair share. What happened in Haiti over the weekend was like another earthquake, Jean Baptiste said and the rise in gas prices is only the trigger. It is deeper than that he said. The problem is social inequality. This happened because the Haitian people is like a coil spring, the more you compress the more likely it will recoil back in your face. I have a piece of advice for former presidential candidate Eric Jean-Baptiste: Shut your mouth! Go away and leave us alone for ever! Femen bouch ou! Kite'n trankil.